When people look for a business savings account, they want the account with the highest ongoing annual percentage yield (APY). There are also other factors to consider when choosing a business savings account, which include the provider’s network, fees, and terms. We’ve reviewed the best business savings accounts and compare the eight best banks below. This article was first published in March 2018. We update this article frequently because bank offerings change frequently when it comes to small business savings accounts. This is especially true as it relates to introductory rates and APYs as well as minimum and maximum deposits. Taking these things into consideration, we reviewed several business savings accounts and updated our list accordingly. The eight best business savings accounts were determined by their interest rates, accessibility, and account fees. Business savings accounts typically have similar terms and costs because they all work the same way. What separates these accounts is the annual percentage yield that they carry or, in other words, how much you could earn every year in interest on the money in your business savings account. Many of the banks offering the highest APY are online banks and most lack a strong network of ATMs and physical branch locations. If you need to be in proximity to a physical branch and/or ATMs, then you should likely only consider the traditional banks like Chase, Bank of America, or a similar institution in which you already have a relationship like an existing business checking account. After researching the best business savings accounts in the industry against our evaluation criteria, we recommend First Internet Bank as the best overall business savings account provider. 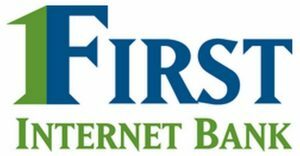 First Internet Bank offers one of the highest APYs in the industry at 1.16%, has multiple business checking account options, and has an inexpensive fee structure. First Internet Bank is the best business savings account provider on our list because it provides two of the highest ongoing APYs and an excellent online banking portal. Its online banking offers “iScan” deposits, which allows you to deposit checks online. For balances up to $250,000, you will earn 1.16%, and for balances of $250,000 or more, you’ll earn 1.41%. It also provides FDIC insurance up to the federal limit of $250,000. First Internet Bank’s Regular Business Savings account doesn’t offer an introductory APY but does offer the highest APY on our list at 1.16%. If you are a business owner who expects to have a balance of at least $250,000, you can earn up to 1.41% in interest. In addition to its high APY, First Internet Bank only requires you to have a minimum balance of $1,000 to avoid its small monthly fee of $2. This is an excellent option if you’re looking to maximize your interest with little account costs. In comparison, Capital One offers an ongoing APY of 0.40%, and Axos Bank offers an ongoing APY of 1.06% for balances of $25,000 or more. Wire transfer fee: $15 for incoming wires and $20 for outgoing wires. If you have an ATM card, which is only offered to sole proprietors, you can use any ATM in your location. First Internet Bank doesn’t charge an ATM fee. However, the owner of the ATM likely will. However, First Internet Bank offers an ATM rebate program that reimburses up to $10 per month in ATM fees. The one downside to First Internet Bank’s business account is they only provide ATM cards are limited and only given to businesses that are structured as a sole proprietor. This can be a roadblock for any limited liability companies (LLCs) and corporations. If you need access to a debit card, consider opening an account with Axos Bank. We sourced the internet for user reviews and, in doing so, we found that account holders generally like using First Internet Bank because of the high APY it offers on its savings account. In addition, it also offers an excellent money market account option along with its business checking accounts. However, a negative review suggests they don’t like not being able to get an ATM card if they’re not a sole proprietor. If you’d like to set up an account directly with First Internet Bank, you can start and finish the process online. You will need to be a United States resident, provide your Social Security number, your business information, and have your identification card ready. Axos Bank is best for businesses with more than $25,000 in savings because the maximum APY is 1.06%. For balances below $25,000, you will earn 0.80%. Axos Bank provides FDIC insurance on all deposits up to $250,000 and access to a free debit card. It’s also a branchless bank and, for that reason, you can apply online. Axos Bank offers both a regular and premium high yield business savings account. Its regular business savings account carries interest rates of 0.80% compared to its premium account that has rates of 1.06%. Axos bases your interest rate solely on your daily balance and has two types of business savings accounts. Although you can still earn interest with a balance below that, you won’t be maximizing your earnings. In comparison, First Internet Bank has a minimum account balance of $1,000, which gives you access to interest rates of 1.16%. Axos Bank has the best fee structure of any business savings account in this article because most of its savings account services are free. Without physical locations, Axos requires you to deposit your funds electronically, via mail, or by wire transfer. It also provides unlimited domes ATM fee reimbursements, which is much better than First Internet Bank’s $10 monthly reimbursement. Axos Bank doesn’t have any physical locations, as they’re a completely online bank. This makes it hard for businesses that want to make regular cash deposits directly to its savings account. If you need access to a physical bank, consider a more traditional provider like Chase. Online user reviews suggest this is an excellent option for business owners who know they can deposit $25,000 from the start. Although it’s difficult to make normal cash deposits, account holders find its online banking features to be beneficial. There were no negative reviews that we found on the web. To open an account with Axos, you’ll need to speak to one of its relationship managers. You can do this by calling the institution directly or by submitting a brief online form to schedule a call with it. One of its representatives will walk you through the quick process of verifying your business and making your first deposit. Live Oak Bank offers a high ongoing APY at 1.10%, which makes them a good option for anyone who doesn’t need a physical branch location and who expects to keep idle cash for longer than one year. Although there are no physical branches, you can apply completely online. Live Oak Bank also provides its account holders with FDIC insurance up to $250,000. Live Oak Bank is an internet bank with no branches, but it does have offices in multiple states. Its high ongoing APY (1.10%) ranks near the top compared to the other banks in this article and provide a comparatively low fee structure. It doesn’t have minimum balance requirements, and you can start earning that high APY from day one. Live Oak Bank will never require you to carry a minimum balance. However, if you have $10 or less in your savings account and no activity for 24 consecutive months, it’ll charge you a dormant account fee and close it. If you want an online-only account like Live Oak Bank, consider using First Internet Bank to earn higher interest rates at 1.16%. Unlike Axos Bank and First Internet Bank, Live Oak Bank doesn’t provide its account holders with an ATM or debit card to use against their account. However, this is a great savings account option if you’re worried about potential fees. It doesn’t require a service fee or a transaction fee. It even has the lowest wire transfer fees on the list. Live Oak Bank doesn’t have physical branches you can walk into as it is a digitally focused online bank. It only has offices in North Carolina, Florida, Georgia, and California. This makes it difficult for businesses that want to deposit cash directly into their business savings account. If your business deals with cash and needs to make cash regular cash deposits, consider a traditional bank like Chase. We sourced the web for user reviews and, in doing so, we found that although Live Oak Bank does offer good ongoing rates, account holders sometimes find it difficult not being able to access physical locations. However, they say think Live Oak Bank’s fee structure is beneficial compared to other accounts. You can apply for a Live Oak Bank savings account by filling out an online application with all of your personal and business information, including your initial funding method. Live Oak will then verify your information electronically. Once this process is complete, you’ll initiate an initial funding transfer. Capital One is best for businesses looking for the highest introductory yield on its business savings account. With an introductory offer of 2.00% for the first 12 months, it offers the highest yield on our list. After the promotional period ends, your account will earn 0.40% interest. Capital one savings accounts are insured by the FDIC up to the federal limit. To apply for a Capital One business savings accounts, you must visit a Capital One location. Capital One offers a business savings account with a high introductory yield and a flexible fee structure. Plus, its ongoing APY of 0.40% is higher than most traditional banks, even after the 12-month introductory period is up. With Capital One you’ll never be required to carry a minimum balance, either when you open your account or as you keep it open. It also has a flexible network with more than 39,000 ATMs where you can withdraw funds but only have approximately 700 branch locations. The majority of its locations are in New York, Texas, Louisiana, and Maryland. If you need access to more branches, consider Chase Bank. Capital One has one of the best fee structures in the industry with the exception of their cash deposit fee. While they waive service fees with a minimum balance of $300, they do charge you 0.2% on any money deposited over $5,000 every month. In comparison, Chase Bank offers free cash deposits up to $10,000. Capital One doesn’t have as many physical locations as a traditional bank. This makes it more difficult for a business to combine their checking and savings accounts at a single bank if they need to deposit a lot of cash or make a lot of transactions each month. We suggest a more traditional option if you need convenient physical locations, such as Chase Bank. We source the web for user reviews and most online reviews suggest account holders this is a great option to use to maximize your interest earnings during the first year. However, most find it difficult to deposit cash into their account because of its scarce physical branch locations. To open a Capital One business savings account you must walk into a Capital One Branch. A Capital One representative will assist you with outlining the required documentation and any needed information to prove the existence of your business. Once your business is verified, you’ll be set to open an account and make your first deposit. Chase Bank offers the best business savings account from a traditional bank because of its 0.15% APY and customer service program. If you’re looking for a national bank with a lot of physical branches and FDIC insurance, then Chase is your best bet with more than 5,000 branches and 16,000 ATMs nationwide. It’s important to note that only sole proprietorships can apply online. Most traditional banks offer very low yields compared to alternative options. Chase is no different, offering an APY of 0.15%. Although, this can increase to 0.40% for balances of more than $25,000. It also offers a Total Savings account for small business with low balances. However, it’s features and rates aren’t nearly as good. 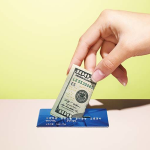 It’s the only account that offers to maximize your earnings by transferring extra money automatically from your checking account into your savings account when you’re unlikely to use it. This feature only kicks in once your daily balance is above $25,000 in your checking account, but it’s a great option to earn more off of the money you’re currently not spending. As a traditional bank, Chase offers a wide range of more than 16,000 ATMs nationwide. If you use these in-network ATMs, you won’t be assessed a fee. However, it does require a monthly service fee of $20, which it will waive that if you connect your savings account to a Chase checking account for overdraft protection. In comparison, First Internet Bank has a monthly fee of $2 that is waived if you maintain a minimum balance of $1,000. Chase offers a very low yield of 0.15% compared to alternative online options. This is because it has many physical locations and more overhead than online banks. If you’re looking for the highest yield, you’ll likely want to go with First Internet Bank at 1.16%. We sourced the internet for online reviews and found that most reviews were positive. Business owners with larger account balances find it to be a more beneficial account than some of the other banks. However, some account holders think the introductory APY of 0.15% is insignificant. To apply for a Chase Premier savings account you’ll typically need to walk into a branch location. However, Chase allows sole proprietorships to apply for their savings accounts online. You can reach out to them via telephone with any questions you may have or to find out what you’ll need to open an account. Wells Fargo is best for business owners who want an account with a traditional bank and already bank with Wells Fargo. It offers introductory APYs of 1.54% if you initially deposit $25,000 and ongoing APYs between 0.05% and 0.10%, depending on your balance. Wells Fargo is FDIC-insured up to the federal limit, gives account holders the ability to write checks and has more than 13,000 ATMs. You can apply online or visit one of its 5,500 physical branches nationwide. Similar to Capital One, Wells Fargo offers an introductory APY for the first 12 months. If you deposit at least $25,000, you will earn 1.54%. It’s important to note these funds must be deposited from outside sources and can’t be transferred from an existing Wells Fargo account. Once the 12-month period ends, you will earn between 0.05% and 0.10% based on your account balance. Interest rates vary in relation to your daily account balance. You’ll earn 0.05% for balances below $25,000, 0.06% for balances between $25,000 and $99,999, and 0.10% for balances of more than $100,000. This tiered rate program is similar to Bank of America. However, Wells Fargo provides rates that are a little bit higher. Wells Fargo doesn’t have the best free structure compared to the other traditional banks on our list. It charges a cash deposit fee of 30 cents for every $100 that is deposited of more than $5,000 in a month and $15 for every withdrawal or transfer. Wells Fargo charges a fee of $15 if your balance is less than $10,000. If you’re looking for a traditional bank, consider Chase as your business savings account. Wells Fargo doesn’t provide a high APY like some of the other accounts on our list, such as First Internet Bank at 1.16%) You can only earn up to 0.10% in interest, and that’s if you have more than $100,000 in your account. They also give you no additional benefits if you have a Wells Fargo business checking account. We sourced the web for user reviews and found them to be both positive and negative. Wells Fargo account holders typically like using its business savings account because of their previous banking experience with the institution. However, some reviews suggest its ongoing interest rates are far too low to make an impact on their savings. There are a couple of different ways you can open a Wells Fargo account. You can either apply online, call to make an appointment or walk into one of its physical branches. The online application is the easiest and quickest way to get your account. You will need to provide your business and personal information to verify your business. Once approved, you’ll be able to make deposits immediately. Bank of America is best for those who want a traditional banking option and who already bank with Bank of America. Depending on your balance, Bank of America only offers interest rates between 0.02% – 0.04%. If you’re not worried about what your yield is, but instead are more worried about ease of use and physical locations, then Bank of America could be the best option for you. Bank of America is FDIC-insured up to $250,000 and has more than 16,000 ATMs. Bank of America carries rates between 0.02% – 0.04% and offers the lowest APY of all the banks in this article. They do, however, offer some nice perks if you use both a savings and checking account, such as waiving fees for both accounts. Interest rates vary depending on your account balance. You’ll earn 0.02% for balances below $50,000, 0.03% for balances higher than that but less than $500,000, and 0.04% for anything over $500,000. In comparison to our best savings account, First Internet Bank offers interest rates of 1.16% on balances under $250,000. Wire transfer fee: $15 for incoming wires and $30 for outgoing wires. Bank of America offers a very competitive fee structure in comparison to most other traditional banks. They’ll charge you a $15 monthly service fee, but it can be waived if you’re a Bank of America checking account holder. This monthly service fee is much higher than First Internet Bank’s account fee of $2, which is waived if you maintain an account balance of $1,000. Bank of America offers the lowest yield of any bank on this list. They’re typically only right for those with an existing relationship or those who need physical branches and are conveniently located around Bank of America locations. If you’re looking for the highest APY possible, consider First Internet Bank. We sourced online user review and found most account holders like using Bank of America because they’ve had a previous track record with them and trust their services. They generally aren’t using them because of their interest rates, as they’re obviously lower than other options on the market. You can open an account by walking into a local branch, or by filling out an online application that only takes a few minutes. A BofA representative will then walk through the process with you via phone, and request any additional information needed to verify your business. Once approved, you’ll be able to make deposits immediately. U.S. Bank is best for business owners with an existing U.S. Bank business checking account. The Business Savings Sweep account lets set a daily minimum account balance on your checking account and will move anything higher than that amount into your business savings account. U.S. Bank offers interest rates up to 0.20%, depending on your balance. All deposits are FDIC-insured up to $250,000. U.S. Bank requires that you call to inquire about the account or visit one of its 3,000 branches. U.S. Bank offers interest rates based on your daily account balance. For balances less than $10,000, you’ll earn 0.05%; between $10,000 and $50,000, you’ll earn 0.08%; and for amounts higher than $50,000, you’ll earn 0.20%. If we compare these rates to other traditional banks on our list, we see they rank pretty evenly. For example, Chase Bank offers 0.15% APY and Bank of America offers between 0.02% and 0.04%. Although the rates match up well, it’s important to consider if you have a physical branch location nearby. Both Chase and Bank of America have more available branches for your access. Compared to the other traditional banks on our list, U.S. Bank offers less expensive monthly service fees. For example, Chase Bank has a monthly account fee of $20 and Wells Fargo has a monthly account fee of $15. However, U.S. Bank charges $21 for incoming domestic wires and $42 for outgoing domestic wires. Whereas Chase Bank only charges $25 for outgoing wires. U.S. Bank is missing a wider network of ATMs and branches nationwide compared to other traditional banks on our list. If you’re looking to open an account with a traditional bank and want access to more branches and ATMs, consider Chase. We sourced online user review and found there to be both a mix of positive and negative reviews. One positive review suggested that account holders who already bank with U.S. Bank for their business needs like this account. However, a few negative reviews complained about its customer service. To open an account with U.S. Bank, you must go into a physical branch location or schedule a call with one of its representatives. One of its banking representatives will then walk through the process and request your business’s information to verify your business. Once approved, you’ll be able to make deposits immediately. When it comes to business savings accounts, there very little differences between them. The best account is likely going to be the bank you already use, the bank with the closest geographic location to yours, or the one offering you the highest APY. When considering all of these factors, we recommend First Internet Bank as the best business savings account. You can receive 1.16% APY or 1.41% APY, depending on your savings account balance. You can open an account by filling out an online application.